Because I love to spend time in the kitchen, I’m always shocked when I hear some people say that the kitchen is a place they absolutely despise. It’s hard for me to understand and I always have to know why. I have learned that there is a strong correlation between how much a person likes to cook and how well their kitchen is organized. If you might suffer from this there is hope. Take a look at what others are doing with their kitchens. You can learn alot from the experience. When I’m working in someone else’s kitchen I like to peek in the cabinets and drawers and guess where things are kept. It’s a bit annoying to my friends, but I’ll go around predicting which drawer has (or feels like it should have) the silverware and which cupboard holds the dishes. It’s fun to see where people stash their spices. Sometimes things feel so out of order to me that I wonder if people think about the placement of all these items or if it just happens haphazardly. (Of course I do all of this very discreetly). Everyone's cooking style differs and how you organize yourself depends on your style of cooking. But regardless of your cooking style you must develop a logical system; a system whose order is efficient and where some natural flow exists. I’ve found that sometimes it takes switching things around a few times to find the most comfortable and efficient cooking set-up. It's just like rearranging furniture. When you move into a new home, you try it one way and see if it feels right. We’re continually changing things around as our tastes and lifestyle changes. A kitchen is no different. It’s a dynamic area! 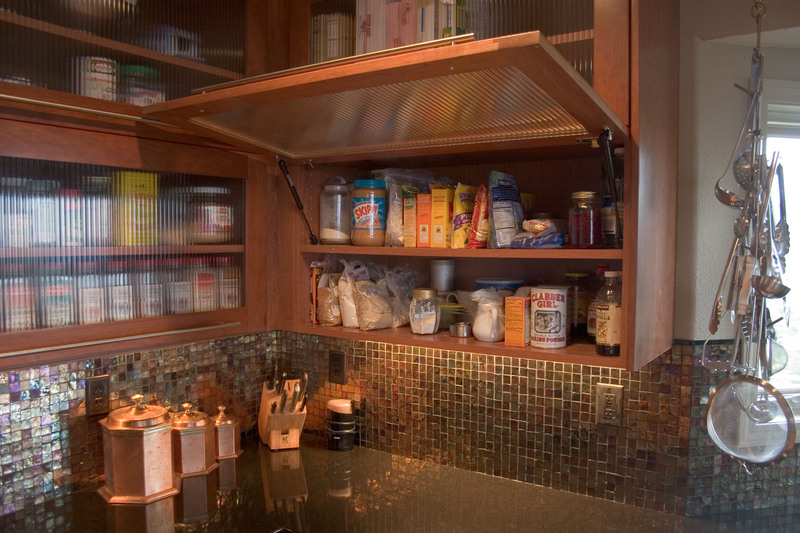 Make adjustments in the kitchen as your needs changes. Take the time to experiment with different set-ups. You may find that you have a greater desire to be in the kitchen if it suits your style of cooking and living.